Equine Emergency? Call us right away at 609.291.0535! 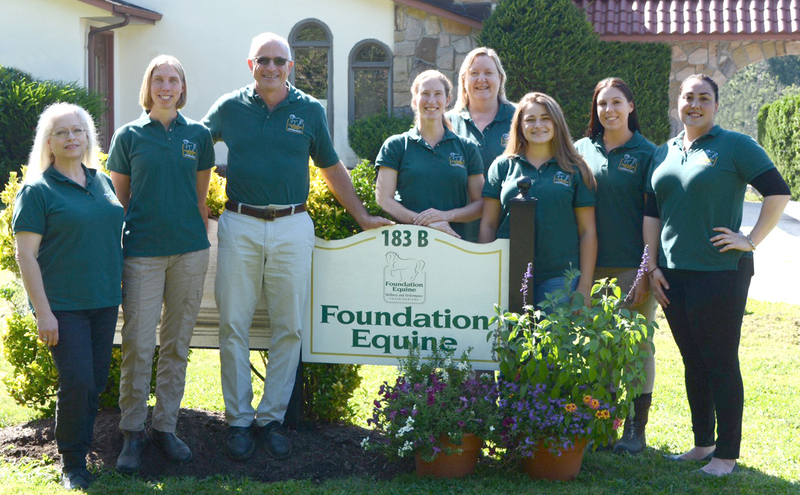 At Foundation Equine Wellness and Performance in Crosswicks, NJ our mission is to provide outstanding veterinary care for our patients and excellent service to our clients. We will accomplish this by providing highly skilled veterinarians trained in the latest techniques using the most up to date equipment; offering reliable availability of doctors for emergencies, consultations and routine care; maintaining a courteous, knowledgeable, dedicated staff; and being the primary source of client education and information. At this site, you will find information about our practice philosophy, our services, helpful forms to assist you and an extensive Equine Medical Library for you to search for additional animal health care information. 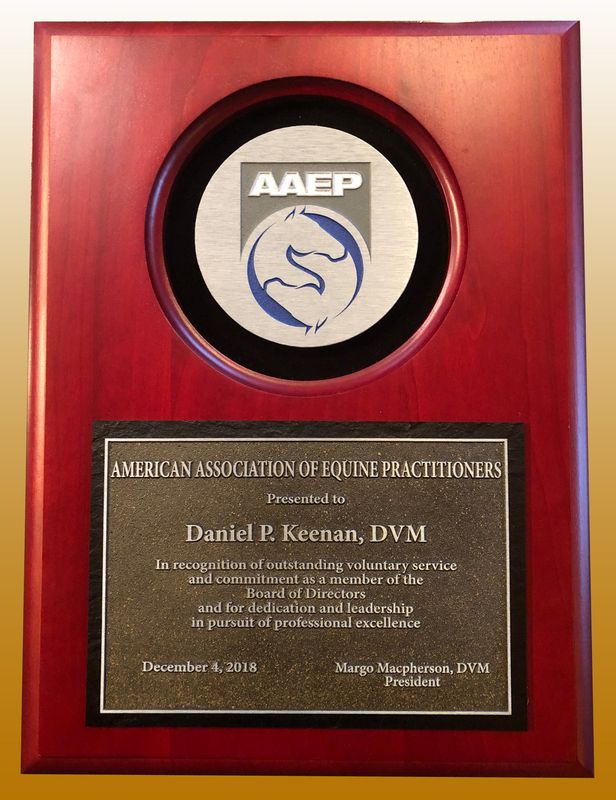 in recognition of his outstanding service to the AAEP. 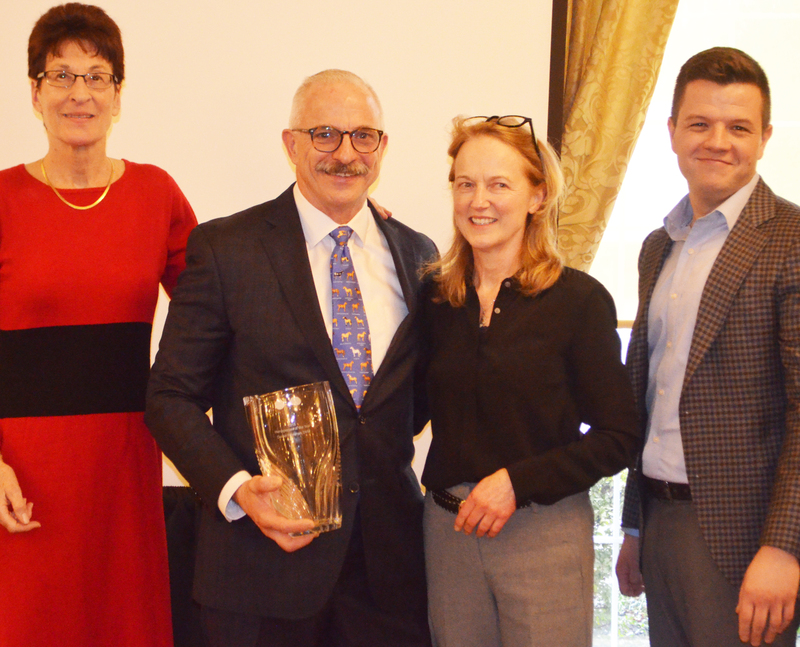 as New Jersey Horseperson of the Year! and NJDA Marketing and Development Division Director Tom Beaver. Please donate today to support Dr. Keenan's ride! View our monthly featured services and promotions! "Dr. Keenan, Dr. Makkreel, and Dr. Lin have always gone above and beyond for the care of my horses. Their expertise, compassion, and availability are second to none. I have been a client for over 30 years and will always have Foundation Equine Wellness and Performance as part of my professional team. THANK YOU FOR ALL YOU DO!" "Foundation Equine is wonderful! It's a breath of fresh air to find healthcare providers that really love what they do. The staff is top notch! They are professional, kind, caring, and take the time to thoroughly answer all of my questions. Dr. Lin is so patient and gentle. Our horses love her, and so do we! So thankful to have quality veterinary care that goes above and beyond! Highly recommend." "Dr. Keenan is so patient and kind with our horses! From shots, teeth and general advice he is the best! He even takes time to let us learn and interact during his visits. I couldn't ask for a better equine vet." "I love all 3 vets in this practice for their professionalism and the wonderful care they provide. It's so obvious they love their job!"